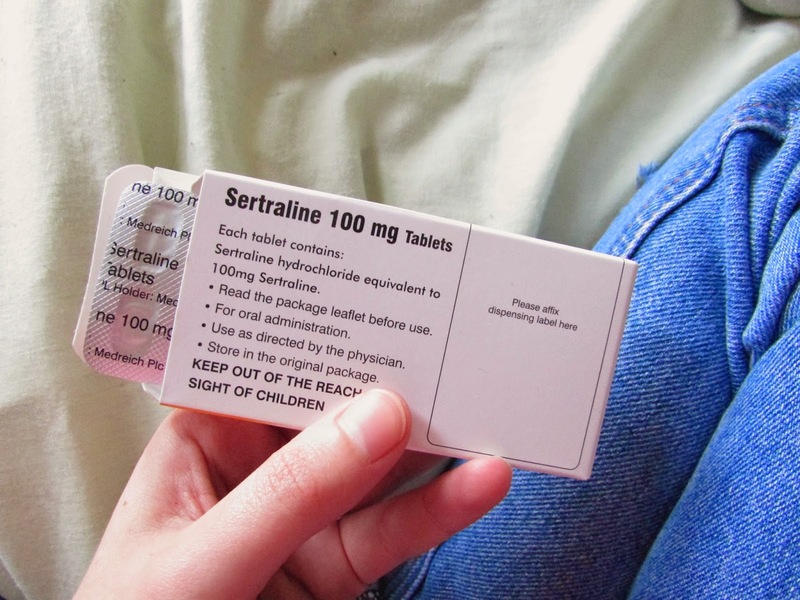 I went to the doctor for a check up appointment yesterday, almost four weeks after starting sertraline for depression. I told him about how fun the side effects were (if you like not being able to stand up without falling down again or forgetting what you needed when you go upstairs) and that they've made me feel pretty flat and have some extreme downs. I haven't felt myself which has been not nice. I miss how passionate I usually am about errrything. That's all just gone to dust now! FYI the actual 100mg pills are twice the size of the cute and tiny 50mg pills (yes I just called an anti-depressant pill cute and what?!) does anyone know if they get eeeven bigger when you go up to 150mg?? 'Cos the Dr already told me we will probably want to up it again at some point *more sarcastic enthusiasm*. I really don't want all my energy drained again I have waaayy too much work to be getting on with for that!